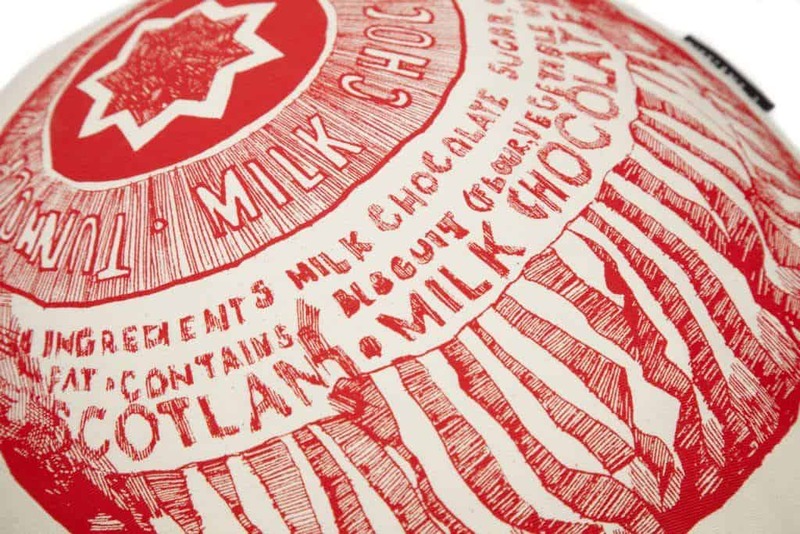 My hand-drawn illustration of great Scottish delicacy – the Tunnocks Teacake – screen printed onto beautiful organic cotton. This unique Tunnock’s cushion is a really fun way to add a splash of colour to your home; great for piling up on the sofa or making your favourite chair a wee bit more comfy (and stylish). 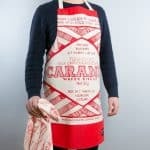 The perfect gift for your home, or an unusual and quirky Scottish/British gift for friends or family living abroad too. 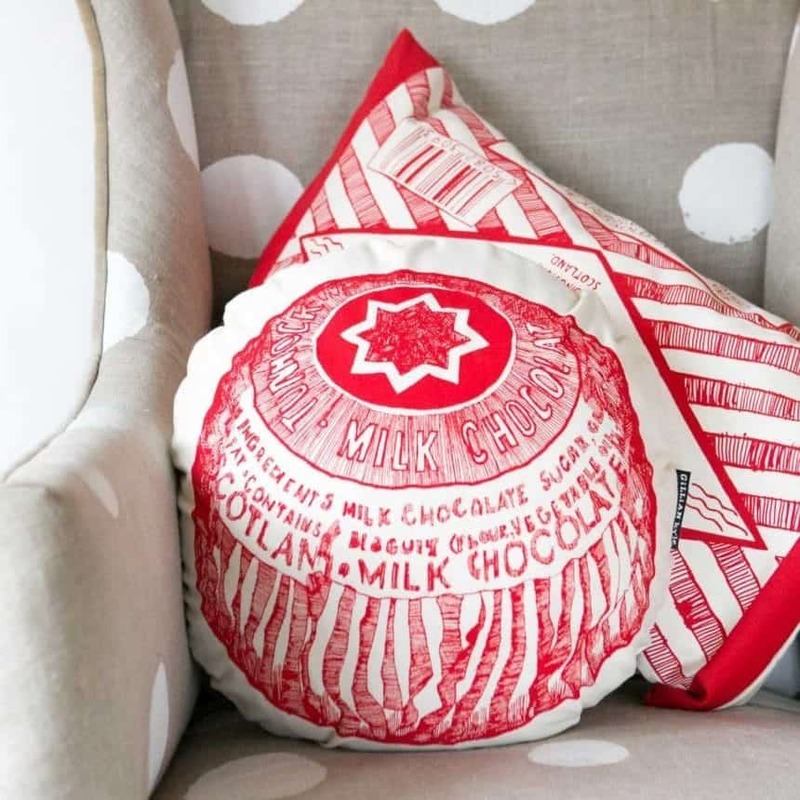 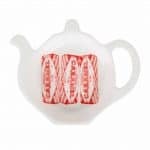 Or have a look at the other products in our Tunnock’s Teacake Collection. 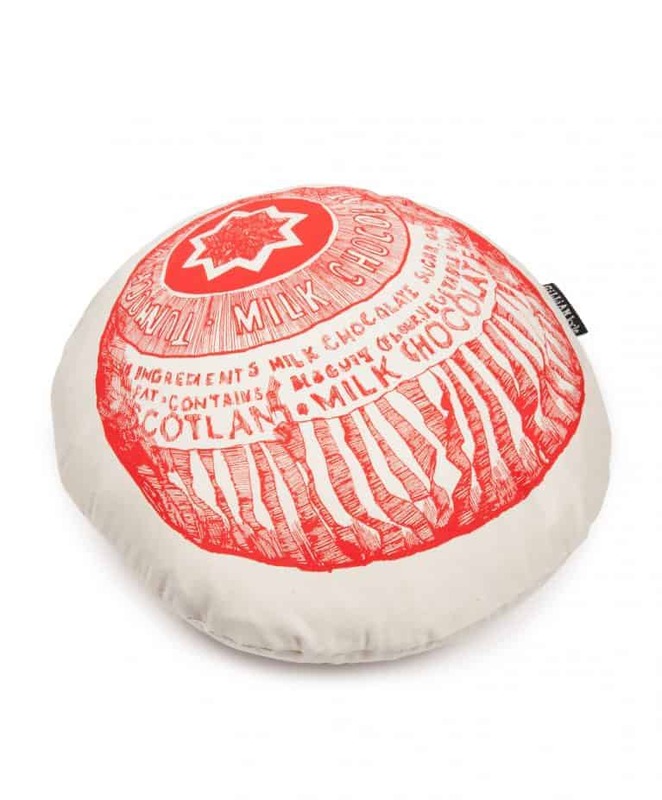 Why not check out the rest of our selection of cushions here. 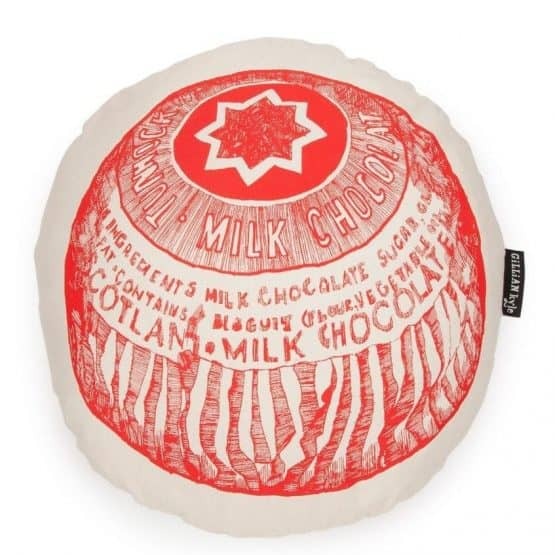 Colourful Tunnock’s print chair cushion in 100% organic – unbleached premium cotton – screen printed with Gillian’s hand-drawn illustration of a teacake in bright ‘Tunnock’s’ red. The cushion comes complete with a really high quality duck feather cushion; it measures approx 40cm (16 inches) in diameter and the zipped cover is washable inside-out at max. 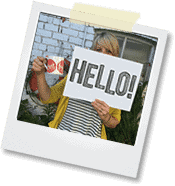 30 degrees. 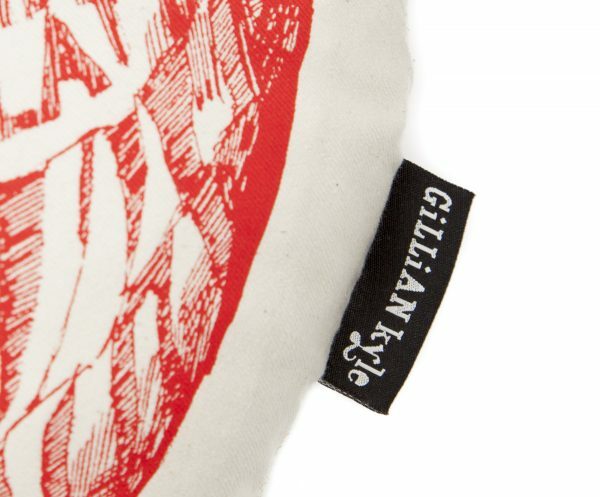 This cushion has been carefully handmade from beginning to end in the UK by a small – family business that takes pride in every product that they make for us. We also have a Tunnock’s Caramel Wafer Wrapper Cushion.